The PlayStation 4 Hopes to Stop Users Migrating to PC? I saw some data that really influenced me. It suggested that there’s a dip mid-console lifecycle where the players who want the very best graphical experience will start to migrate to PC, because that’s obviously where it’s to be had. We wanted to keep those people within our eco-system by giving them the very best and very highest [performance quality]. So the net result of those thoughts was PlayStation 4 Pro – and, by and large, a graphical approach to game improvement. But will his logic work? To be honest… no. No it won’t. For one thing, PCs tend to get gradually better over time, and people tend to upgrade them quite a few times (especially if they’re heavily into PC games). The PlayStation 4 Pro doesn’t allow this. It’s one upgraded version of a system that’s coming out on November 10th. Which admittedly, is good for some people, but it’s not really anything a PC gamer would use. And it doesn’t provide an alternative to upgrading PC components. It’s also a set price, which may or may not compare favourably to the cost of upgrading components in a PC. Is that $400 a good deal? Maybe, but it all depends exactly what you’re upgrading. Or heck, whether you need to at all. I mean, if your system can already run better games than a PS4, then it’s a choice between $400 and free. That’s not exactly a comparison tipped in Sony’s favour there, is it? Oh, and it’s a whole new PS4 you have to buy as well. That’s less convenient than upgrading a PC regardless of how you look at it. I mean, when you upgrade a PC, what do you have to buy? Oh, various components that work with most of the stuff in the older one. You usually don’t toss the whole machine out at any one point. That’s not the case here. It’s a new PS4. You’re not buying PS4 components or an upgrade kit, you’re buying a new system. That just seems more awkward and wasteful regardless of how you look at it. Which brings us to the last difference. And perhaps one massive reason a lot of people won’t like this. What do a lot of people like playing games on PC for? What did Sony just recently decide not to allow in the PS4 versions of Skyrim and Fallout 4? 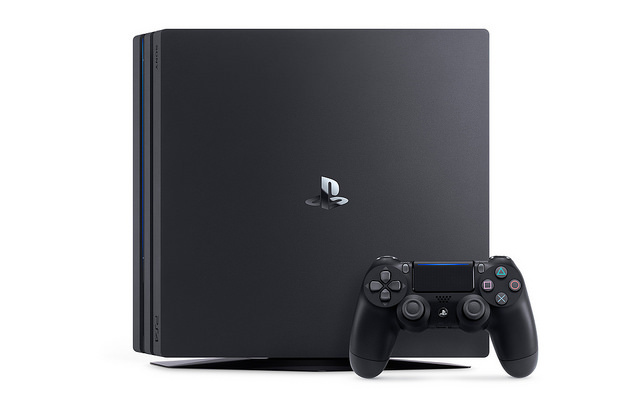 So instead of migrating to your computer, upgrading a few things and modding the games you get in whatever you see fit, Sony wants you to toss out your PS4, buy a brand new (and equally expensive) PS4 and have no way to mod any games whatsoever. Somehow, I don’t quite see this as the most well thought out idea in the world. Especially given how people play games on consoles and on PCs for very different reasons and with differences in expectations. So yeah. Sorry Sony, people aren’t gonna buy this to avoid moving to PC games. It might manage to compete decently enough with the Scorpio or NX, but it won’t persuade PC gamers. A bold and hopeful statement from Sony, but they can never match PC in hardware. Just pump out the non-PC software and they shouldn't have anything to worry about.